Doyle + Partners Construction worked as the construction managers on these projects to help produce both theses bespoke Audi showrooms and workshops to the highest quality, on time and on budget. 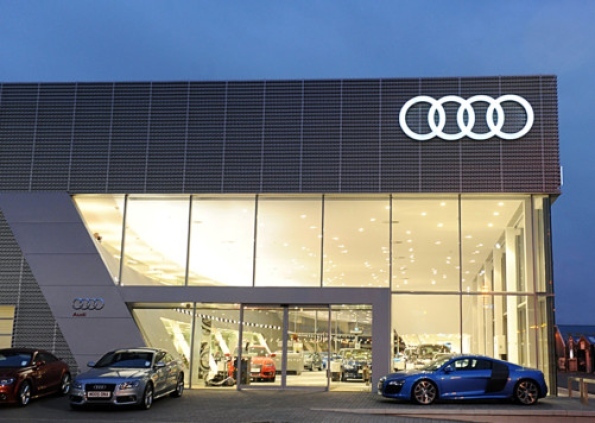 The newly completed Audi Terminal in Wexford has achieved Audi’s highest Audit results out of all the Audi Showrooms after been completed in Ireland. We had a great working relationship with the clients and EMD Architects who where the Architects on this project. The new Audi architecture building type is the Audi terminal. 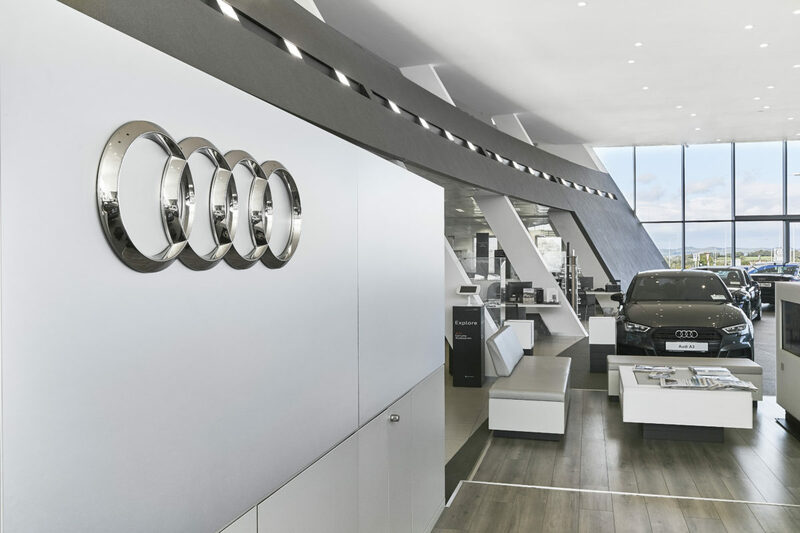 Dynamism, asymmetry and transparency are central to the design intentions of Audi architecture and act as the determining elements of the Audi terminal. The dynamism of asymmetric curves forming the three-dimensional environment contrasts with the orthogonally organised ancillary areas and the clear rectangular volume of the structure. The collision of both systems accentuates the asymmetric aspect and brings the cars presented into focus. 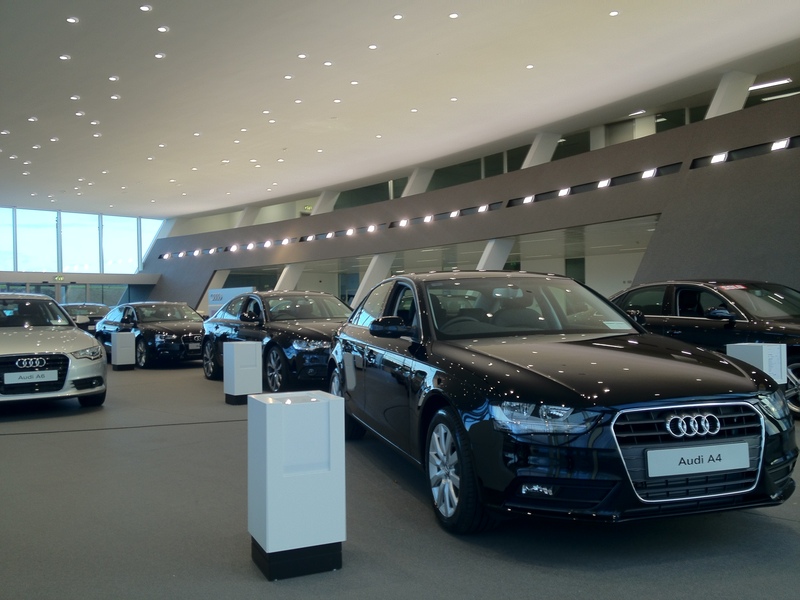 Transparency is graduated and distinguishes the different levels of publicity in the Audi dealership. The architecture is reticent towards the presented products and enhances their presence. At the same time it communicates the fascination of the Audi brand by its outer appearance. Audi Wexford and Waterford projects were constructed using Building information software(BIM). With BIM, we can model not only the building, but the end-to-end construction process itself, so whether we’re managing a project or constructing the structure ourselves, we can analyse constructability, coordinate the process, address clashes, and schedule every step virtually before construction begins.